'Start Here': California shooting, Mueller's new boss and possible recounts. What you need to know to start your day. It's Friday, Nov. 9, 2018. Thanks for choosing to start here. 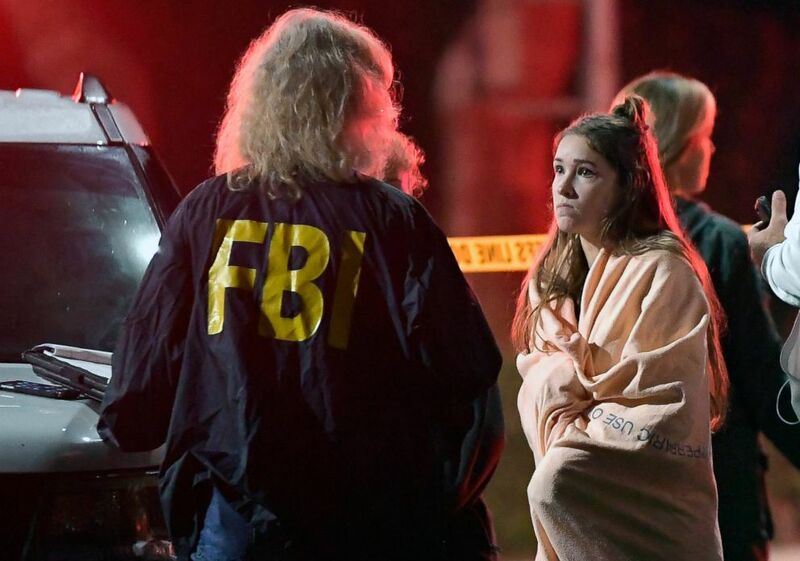 Twelve people were killed when a gunman opened fire at a popular bar in Thousand Oaks, California, late Wednesday night. Hundreds of people were inside the Borderline Bar and Grill for "College Night," an event for students as young as 18. They hid under tables and barstools as the shooter sprayed bullets and set off what witnesses described as smoke bombs. Police rushed to the scene within minutes, including Sgt. Ron Helus, a 29-year veteran of the Ventura County Sheriff's Office, who was killed confronting the gunman. "We know that inside it was just complete chaos," ABC News' Natalie Brunnell tells us from the crime scene. "People breaking windows with chairs, people acting as human shields ..."
California investigators identified the gunman as Ian David Long, a 28-year-old former Marine who served in Afghanistan. He was found dead at the scene, police said. A neighbor said Long suffered from post-traumatic stress disorder: "I don’t know what he was doing with a gun." Long legally purchased a .45-caliber handgun he allegedly used in the attack, authorities said. Despite concerns over his potentially having PTSD -- police responded to a disturbance at his home in April in which he appeared "somewhat irate" -- he was cleared by mental health specialists. If Long wasn't prohibited from purchasing a firearm, could anything have prevented this shooting? 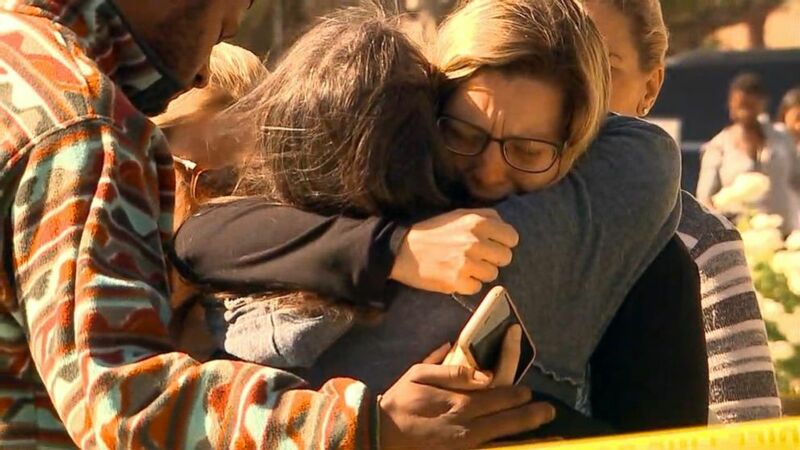 ABC News' John Cohen, former acting undersecretary at the Department of Homeland Security and an ABC News contributor, tells us what officials have been doing to address gun violence when there are mental health concerns. "A growing number of communities across the country are exploring ways that law enforcement can go to the courts and they can seek to temporarily restrict access to firearms by those people who are deemed to be higher risk," Cohen said. An FBI agent talks to a potential witness as they stand near the scene, Nov. 8, 2018, in Thousand Oaks, Calif. where a gunman opened fire Wednesday inside a country dance bar crowded with hundreds of people on "college night." Acting Attorney General Matthew Whitaker is under fire for expressing strong opinions about the Russia investigation before he joined the Trump administration. At one point he implied the probe could become a "witch hunt," and in an op-ed for CNN he said special counsel Robert Mueller had "come up to a red line" by investigating President Donald Trump's finances. Democrats are calling on Whitaker to recuse himself from overseeing the investigation. The ranking member of the Senate Intelligence Committee, Sen. Mark Warner, tells us: "What appears the biggest asset this person has is that he's a loyalist to Donald Trump." Multiple sources have told ABC News that Whitaker will not recuse himself. 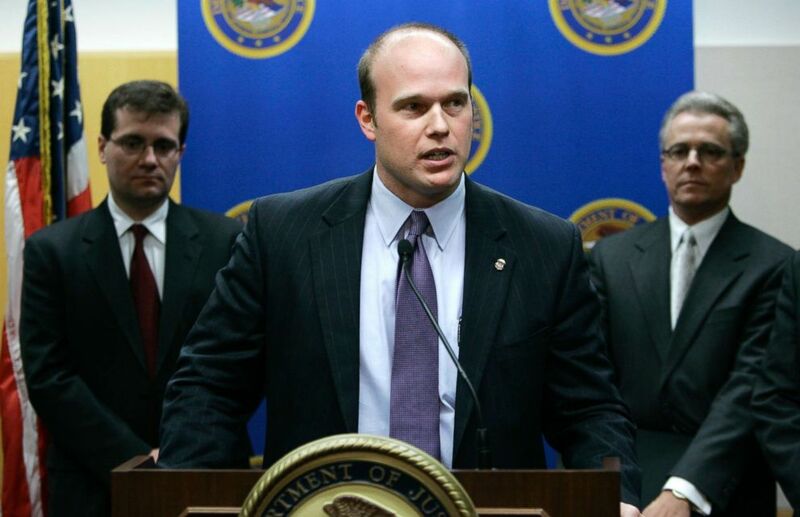 U.S. Attorney Matthew Whitaker speaks during a news conference, Jan. 16, 2007, in Des Moines, Iowa. Republican Brian Kemp announced yesterday he would step down as secretary of state after declaring victory in Georgia's gubernatorial race, but opponent Stacey Abrams is refusing to concede as her campaign prepares legal action ahead of a potential recount. "The Abrams people are going to try to force the courts to slow the state down and make sure that all of these provisional and absentee ballots have been counted and accounted for," ABC News' Steve Osunsami tells us from Atlanta. 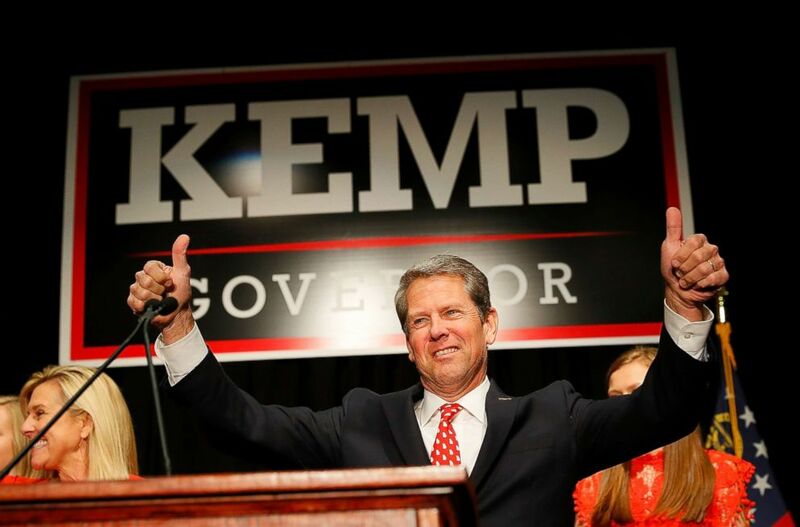 Kemp leads Abrams 51 percent to 48 percent, but he is not more than 1 percentage point away from breaking 50 percent, which is required for victory in Georgia. ABC News has not yet projected a winner. A winning candidate in Georgia needs to clear 50 percent plus 1 to avoid a runoff. Republican gubernatorial candidate Brian Kemp attends the Election Night event at the Classic Center on Nov. 6, 2018 in Athens, Ga.
'Many law enforcement officials agree that these shootings represent the most serious threat facing the United States today': Mass shootings in the U.S. are becoming more frequent and more deadly. 'If someone driving you gets you lost in the woods, they're not going to get you out of the woods': Not everyone is excited about Elon Musk's new boss. 'Movie-worthy heist': Five people are arrested for allegedly stealing millions of dollars worth of jewelry that belongs to the Qatari royal family. 'Eliminating smoking in America would, over time, eliminate about one-third of all cancer deaths': Cigarette smoking in the U.S. is the lowest ever. What we know about California bar shooting that left 12 dead: Twelve people, including an officer who ran to confront the gunman, were killed at the Borderline Bar and Grill on Wednesday night. 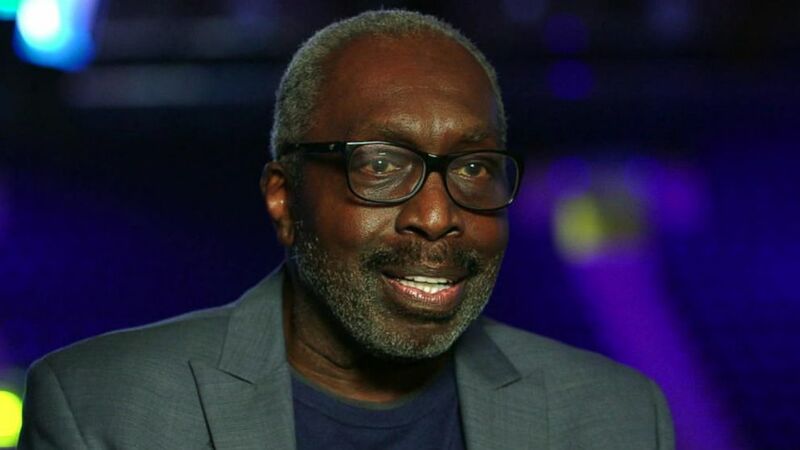 'Basketball: A Love Story': The game's legends explore its key moments in history: The 20-hour ESPN documentary series explores the impact of basketball on and off the court. 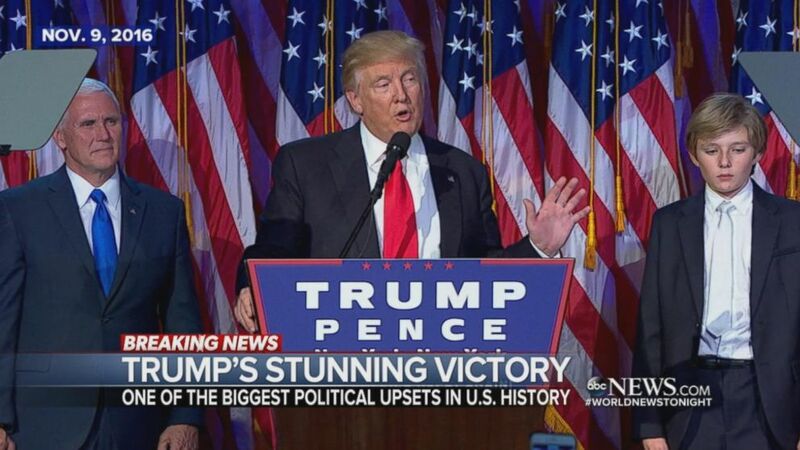 Nov. 9, 2016 -- Donald Trump is elected as president. 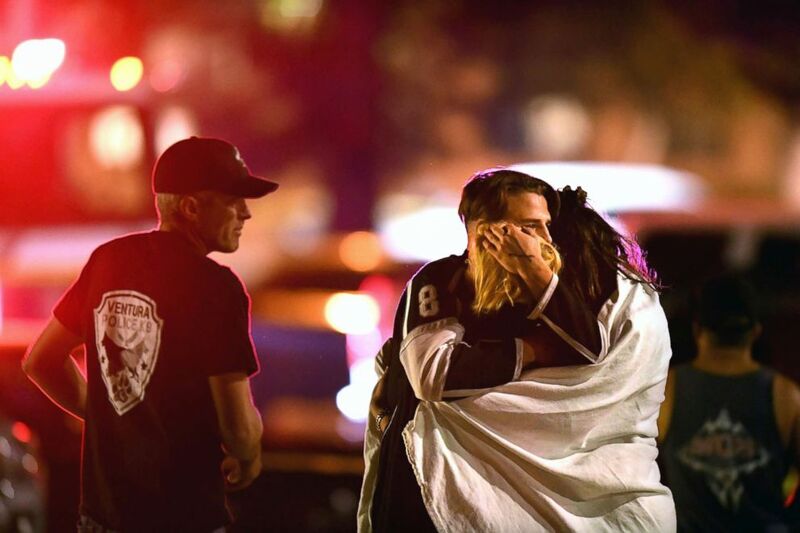 People comfort each other, Nov. 8, 2018, after a mass shooting at the Borderline Bar &amp; Grill in Thousand Oaks late Wednesday night. 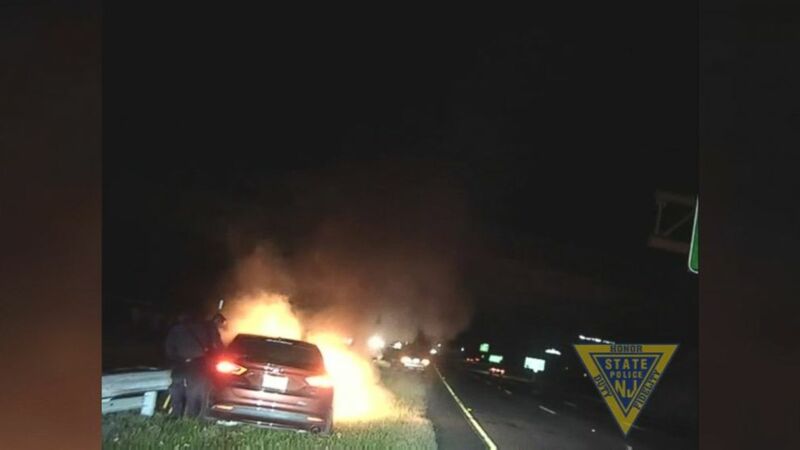 Two troopers rescued a man moments before his car became fully engulfed in flames. 'Start Here': Bar massacre and recounts. What you need to know to start your day.